Expansive Patagonia is truly one of the final frontiers in the New World. A trip to the southern tip of the continent is always a life-changing experience, filled with awe-inspiring vistas, magnificent glaciers, exhilarating adventures, and the generous spirit of those who call Patagonia home. Discover the best of Argentina and Chile during these fifteen days, filled with inspiring trekking, outdoor adventure, bike and wine, combined with luxury accommodations, and unbelievable scenery. This is guaranteed to be an experience you will never forget! Welcome to Argentina! You will be welcomed at Buenos Aires Ezeiza Airport. We will drive you to your hotel and give you time to settle in. In the evening, you will enjoy a tango show and dinner. Tango Dance is one of the main attractions in Buenos Aires. It was born around 1880 in the suburbs (arrabales) from a mixture of various rhythms. At the beginning it was danced by pairs of men to the music of the flute, the violin and the guitar, the first of which was subsequently replaced by the “bandoneón”. 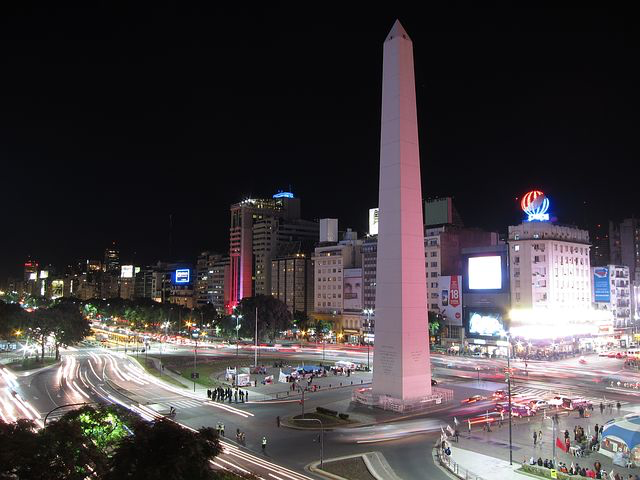 City Tour of Buenos Aires, South America’s most elegant capital. 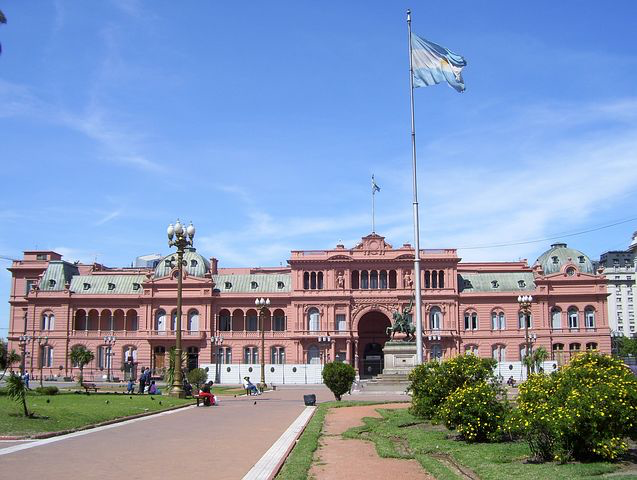 During this tour we will visit the Plaza De Mayo, which is surrounded by the Casa Rosada (Government House), the Metropolitan Cathedral and the Cabildo (Old City Hall), built during Spanish rule. 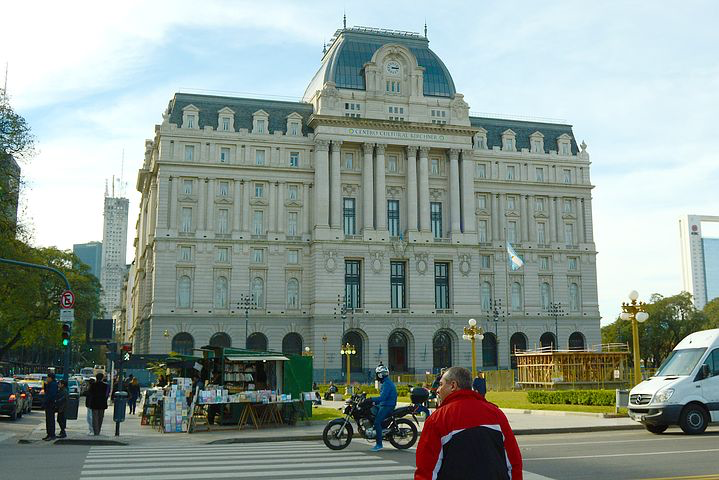 At the other end of Avenida de Mayo we will see the Congress building. We will continue driving along 9 de Julio Avenue, the widest in the world, to see the Colon Theatre, famous Opera House that stages the most important artists and musicians from all over the world. Then we continue to San Telmo, the best kept historical neighbourhood and eldest district of Buenos Aires. Around Plaza Dorrego, you can find many antique shops. On Sundays you can not miss this square, as an antique market takes place there. You can have a walk looking for a souvenir to take back home while listening to the tango music. Also Tango couples will be dancing around San Telmo cobblestone streets. We will continue driving to La Boca, the most colourful area with its famous Caminito Street. We will drive to Puerto Madero Area, with its recycled docks, is one of the best restaurants areas that Buenos Aires offers. You may have lunch here at your leisure. We will continue our visit with the North area of Buenos Aires. 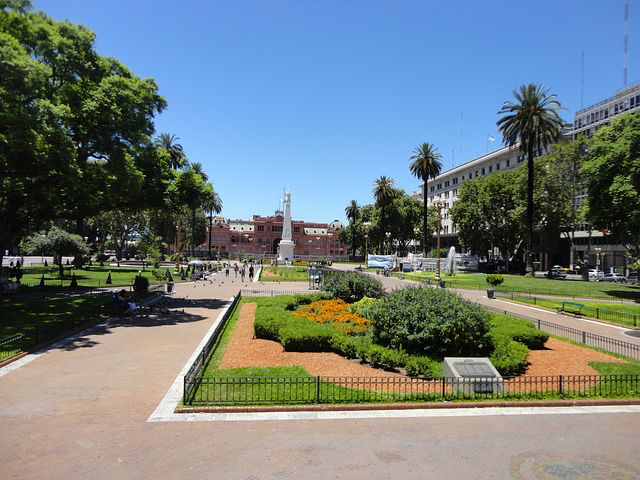 We will drive to the districts of Palermo with its beautiful parks, passing by the City Zoo, the Argentine Horse Track and National Polo Fields. Palermo is beautiful for its artificial lakes, and gardens. We will visit Recoleta area, one of the city’s glamorous spots. Here you will find the Municipal Cultural Centre, elegant boutiques and excellent restaurants, surrounded by centennial trees. In the Recoleta cemetery you will find the grave of Eva Duarte who became famous as Eva Perón (Evita). The cemetery is the centre of this aristocratic neighbourhood, as the more relevant personalities of Argentina’s history rest in this place. The mausoleums, pantheons reflect the architectural diversity emerging from the different cultural tendencies Argentina incorporated in its formation as a nation. The cemetery is considered to be one of the most impressive monuments of Argentina. This morning we meet in the arms museum’s esplanade to travel around the “portenian” north. We’ll ride through “Retiro”, where we’ll get to see the reflections that the different epochs in our history left in the city. After seeing a really particular art space, The Regazzoni’s work shop, we’ll go to the Recoleta’s cemetery, where the past time of the aristocratic families of Buenos Aires rest inside of imposing monuments. We’ll leave from there to enjoy Palermo neighbourhood, or even better, the several neighborhoods you can find in Palermo: the Parisian style houses of Palermo Chico and Barrio Parque, The woods (“3 de febrero” park), with their lakes and sculptures, and the modern stile of Palermo Soho. On the return, we’ll see the everyday life of Buenos Aires. Lot of people say that Buenos Aires is the Paris of South America. We invite you to discover it with us, and perhaps to re-think that, looking through the eyes of this wonderfully diverse city. Enjoy a free day in Buenos Aires to rest and discover on your own. Enjoy a delicious breakfast before your private transfer to the airport for your flight to El Calafate. Today we spend the day at Perito Moreno Glacier! 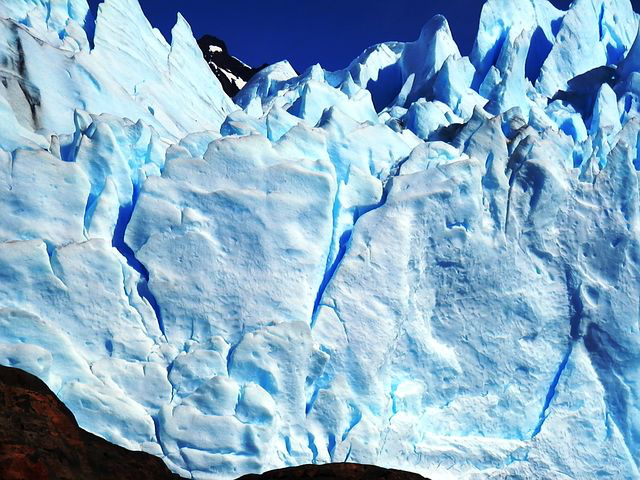 Los Glaciares National Park has been declared as Mankind Heritage by UNESCO. Those glaciers that named it (about 47) show us a 10 thousand-year-old world: cold and wild. 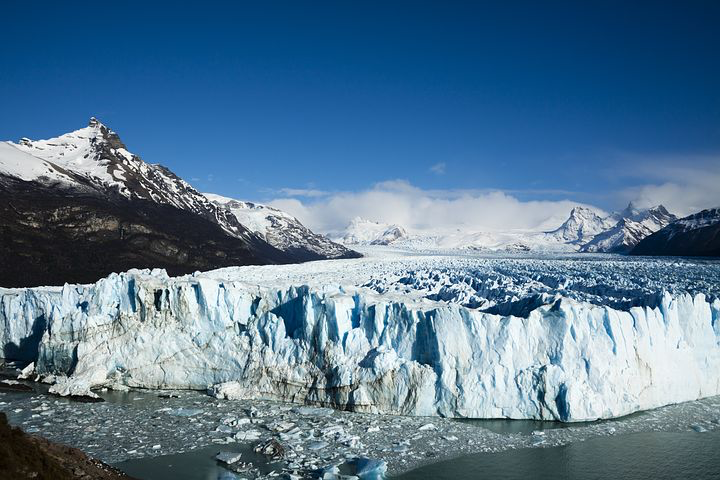 The most famous one is Perito Moreno Glacier in the south western end of Argentino Lake at 80 km away from El Calafate. This glacier is so-called due to a great Argentinean explorer from last century and is one of the few glaciers that is still moving in the world. That is why it has become one of the most spectacular natural shows in South America. From time to time its 60-m-high snout releases some ice walls as huge as buildings that fall into Rico Bend or Canal de los Témpanos (Ice floes Channel) and then they continue sailing along the channel to the main area of the lake. However, that is not all. The glacier, while moving forward, comes closer to the Magallanes Peninsula, in the opposite lake bank as well as footbridge and viewpoint area. This cycle takes from 4 to 6 years and it eventually separates the lake into two areas. We visit Perito Moreno Glacier as mentioned above and we depart from Bajo Las Sombras Port at 75 km away from El Calafate and 8 km from Perito Moreno Glacier. From the ship (approx 30 minutes sailing) we watch the southern wall of the glacier at a distance of about 500 m. We arrive at the opposite shore for disembarking to reach Moreno River Waterfall and there we use crampons and ice axes, which both allow us to walk on the glacier. This walk is attractive because of the contact with glacial ice, its peaks and interior lakes of a unique blue colour providing amazing views of the glacier walls and the lake. Around 08.00 AM you will be collected by a shuttle Transfer to your next destination – El Chaltén. Enjoy the scenery of beautiful, wild Patagonia. Enjoy 2 free days to discover a spectacular National Park, Parque Nacional Los Hielos. 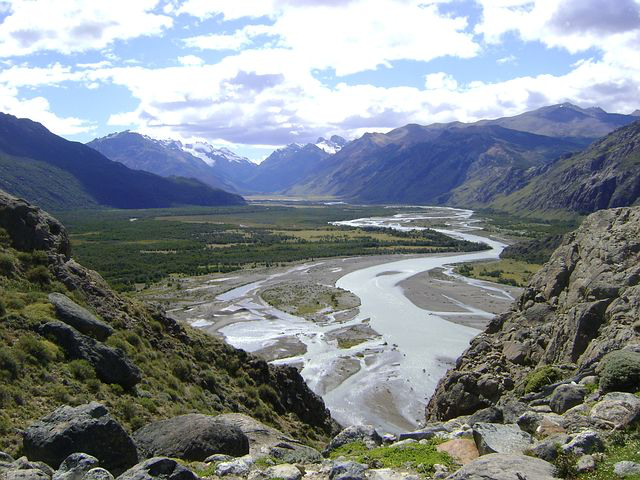 El Chaltén, capital of trekking, offers several treks with well marked paths. 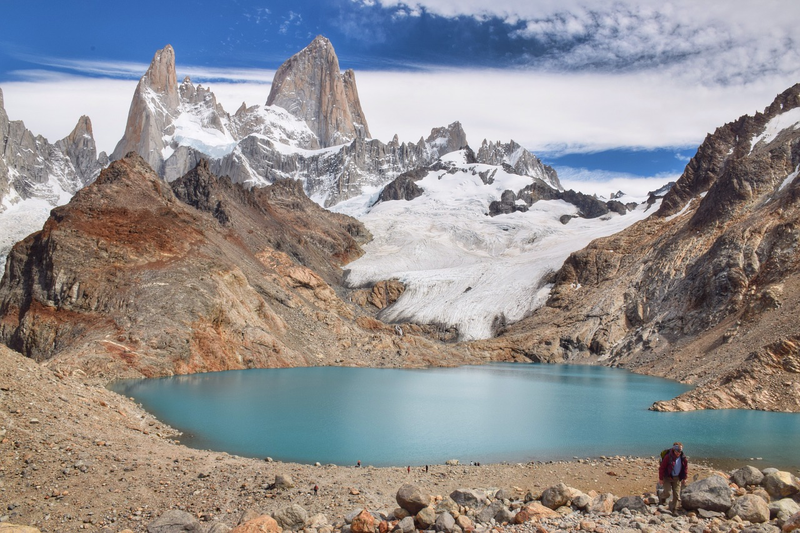 There it is the well-known Cerro Fitz Roy, where you will have the privilege to get splendid and unique views from the Cerros Laguna de los Tres and Torre. Enjoy another free day to trek in El Chalten. Return to El Calafate on the shuttle transfer. Take this day to relax. Enjoy the facilities at the hotel, or walk around town and check out the cute shops and excellent restaurants. Depart in the early morning towards Chile with the staff of Hotel Las Torres. After approx. 5 hours drive you will arrive. Welcome to the Chile side of Patagonia! 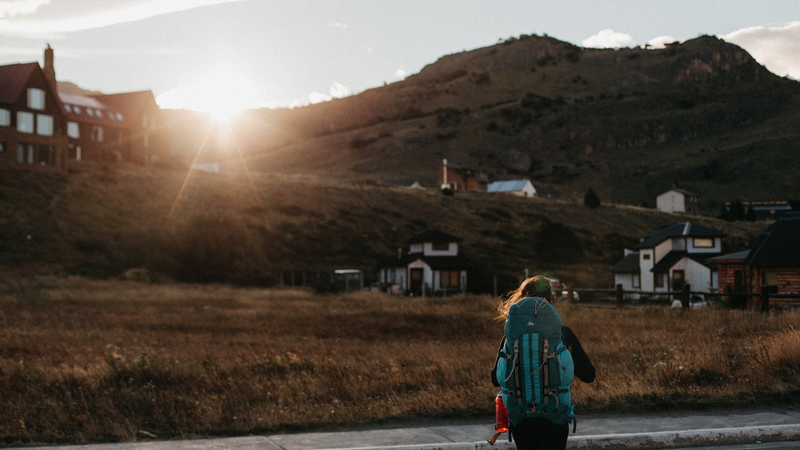 Hotel Las Torres is located in a privileged sector that allows us to show you the true spirit of an Estancia, and it is from here where different trails to the most renowned places of the park start. Explore one of the last frontiers of secluded, unspoiled natural beauty in Torres del Paine National Park. 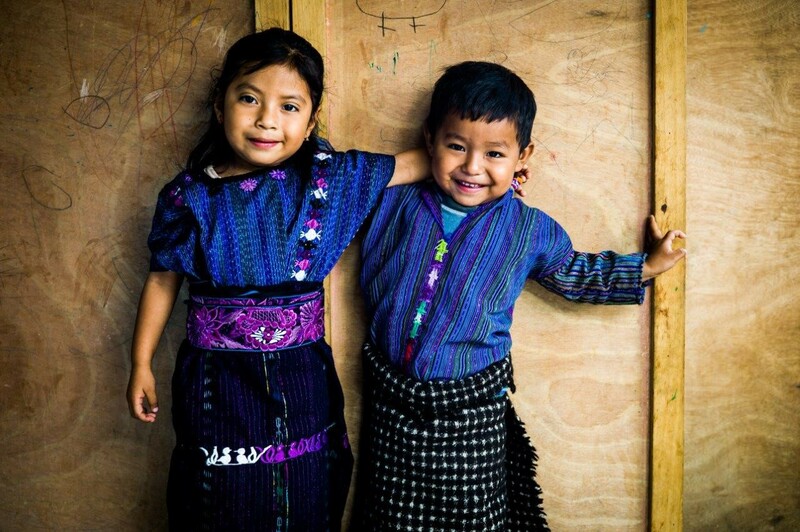 Discover the landscapes and wildlife of this place, as well as the unique way of life of its human inhabitants: the gauchos. Your hotel offers you many different options of excursions to please the needs of every guest. 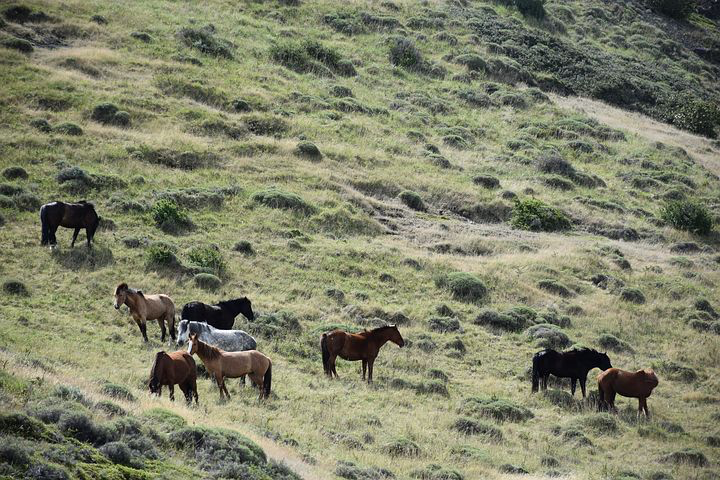 You can choose to horseback ride with our experienced gauchos, trek different difficulty level trails, do walks to observe and enjoy flora and fauna with our specialized guides, or choose the comfort of a vehicle excursion throughout the most attractive places in the park. With the excursions you will have a wonderful opportunity to see mountains and the beautiful landscapes, to understand the flora and fauna of the region, to go back in time to learn about the now extinct ethnics that used to dominate the land and to understand the geological events that transformed the place to what we know today as Paine massif. Every day the guides will present you the best options for excursions in order to visit each corner of this fascinating National Park and make your journey and unforgettable experience. Enjoy another excursion led by your hotel staff. Transfer from Torres del Paine to Punta Arenas. The evening is free to relax and enjoy a delicious dinner on your own. With this unforgettable journey through the historic Magellan Strait you’ll have the opportunity to see the principal colony of Magellan penguins on Magdalena Island and the sea lions of Marta Island as well as the great variety of marine fauna in the region. Early morning, you’ll be transported from Punta Arenas 25km north to Laredo pier, where your boat will be waiting. Aboard a covered rib boat, you’ll navigate the Magellan Straight stopping off at Magdalena Island where you can interact with Magellan penguins. After your visit, you will stop off the coast of Marta Island giving you a chance to see its sea lion colony, before returning to Laredo Pier. During your tour you may also have the opportunity to witness other fauna including: elephant seals, Commerson’s dolphins, Austral dolphins and an array of birdlife such as cormorants, petrels and Antarctic doves. On arrival at Laredo pier, transport will be waiting to take you back to Puntas Arenas Airport for your flight to Santiago and connection home. A 4-minute walk from Las Heras metro station, this contemporary hotel in a commercial area is 7 minutes’ walk from exhibitions and events at Centro Cultural Recoleta, and a kilometer from Museo Nacional de Bellas Artes, a public art collection.The modern rooms come with free Wi-Fi, flat-screen TVs and minibars; some include balconies. Room service is available. A free breakfast buffet is served in a dining room with quirky triangular windows. Additional amenities include a terrace and an outdoor pool, plus a sauna and a fitness center. Outstanding Argentine artists have recreated ancestral designs of the Tehuelches to achieve a unique hotel, where every detail tells the history of Patagonia. Kosten Aike Hotel offers an unsurpassable location in El Calafate, at only 2 blocks from downtown and just a few minutes away from the International Airport. At the very doors of El Chaltén, within Los Glaciares National Park, at the foot of the Fitz Roy Hill, Senderos Hostería is waiting for you. Of typical Patagonian architecture, inspired in antique farms from 1920 and with all the modern hotel comfort, Senderos Hostería offers guests the unique experience to feel and live this outstanding spirit reflected in decoration and mainly shown by the warm and personalized service of its professional staff. The 21 rooms and other spaces in Senderos Hostería have been designed to offer guests warmth, privacy and peace of mind during their stay. Senderos Hostería, the ideal place to live your experience in Patagonia. 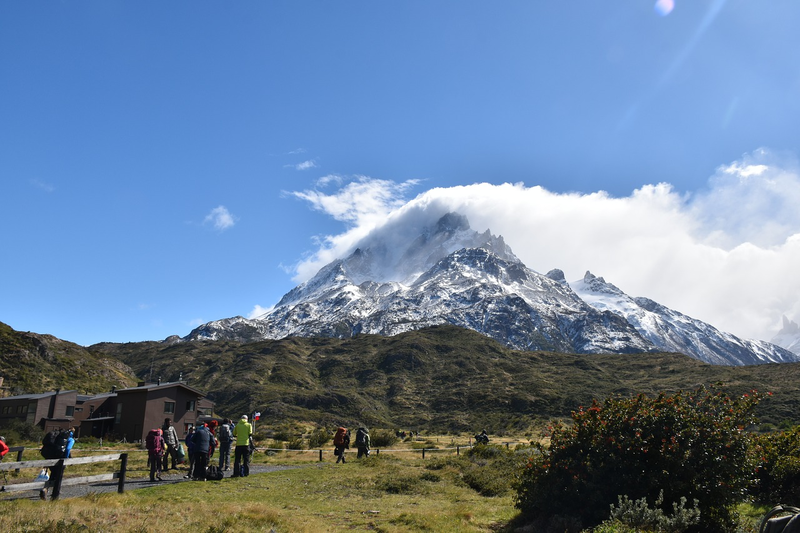 We invite you to enjoy an unforgettable experience in one of the most beautiful and breath-taking places on the planet, the Torres del Paine National Park. Our “all-inclusive” programs allow you to experience the wilderness of the Patagonia care-free. Your only worry will be how to take in the incredible feeling of freedom that rolls off of our beautiful pampas and mountain landscapes. The elegant Cabo de Hornos Hotel is located in the historic town of Punta Arenas. Recently renovated, it features vanguard interiors, stylish rooms, free Wi-Fi and a fine dining restaurant. The comfortable rooms at the Hotel Cabo de Hornos are decorated with rich local woods and luxurious carpeting. They feature private bathrooms, a separate bathtub, and a TV. Guests can enjoy regional delicacies at the hotel´s restaurant, or a glass of local wine in front of the fireplace. A breakfast buffet is served daily.